In this article, I consider how resistance to change can stop us from learning new skills or testing new methods to make our editorial businesses more successful. Editors, like any other professionals, can fall into the trap of resisting change – for example, not trying out a new marketing strategy; claiming they have no need for business tools such as macros; or refusing to take on work that requires using a new platform, software package, or format. All of us have either said, or heard one of our colleagues say, ‘I don’t work in that way,’ ‘That’s a bad idea,’ ‘I don’t like the idea of that,’ ‘That’s not the way I do things,’ or ‘I just couldn’t bring myself to do that’ at some point in our careers. The types of clients for whom we are discoverable, and the ways in which they find us, are more varied than I expected when I set up my business in 2006. All of that means that resisting change and failing to learn the new skills or to try new methods (whether technical, promotional, or practical) simply doesn’t make sense for today’s editorial business owner. ​If we refuse to change, we refuse to compete – and that’s a path to business failure. Learning anxiety comes from being afraid to try something new for fear that it will be too difficult, that we will look stupid in the attempt, or that we will have to part from old habits that have worked for us in the past. Learning something new can cast us as the deviant in the groups we belong to. It can threaten our self-esteem and, in extreme cases, even our identity. ​Back in 2002, Schein discussed the issue in relation to the challenges of organizational change and transformation, corporate culture, and leadership. But that quotation can apply just as well to the editorial solopreneur in 2018. We may be anxious about making a change for fear of not doing it well; equally, we might have heard or read negative opinions from our colleagues about using a particular technical tool, testing a new marketing effort, or changing to a new way of working – and that makes us wary of being seen publicly to be trying such things, lest they draw negative attention. If you think there are changes that should be made, or new skills learned, approach them as you would a business plan. By breaking the changes down into components, they will seem more manageable and less anxiety-inducing. Write down the proposed changes (e.g., learning how to use macros; working with a new editorial tool; working in a new format, such as PDF using digital markup; studying a new editorial skill such as proofreading or localization; testing a new marketing technique or pricing model; making yourself visible to a new type of client group such as self-publishers, students, or publishers). Make a list of the objectives (e.g., increased productivity, new work stream, more diverse skill base to offer potential clients, enhanced client engagement). Make a note of how difficult you think the task(s) will be to learn and implement. Make a note of how making the process of bringing in these changes makes you feel (e.g., reluctant, anxious). Record the financial outlay required to make the changes to your business. Consider the time frame in which you think you could make the changes. If there are several, you can stagger them so as not to overload yourself in terms of action and pressure. Ask yourself whether you will need assistance to make the changes (e.g., a trainer or mentor) or whether you can implement them on your own. We must accept that change always brings risk. However well we plan change, however well it appears to meet our business objectives, the outcomes aren’t always what we hoped for or expected. What if that cold-calling session to local businesses doesn’t bring in any immediate new clients? What if that training course in a particular software program won’t pay for itself because no clients will ask you for that skill? What if some people in your social media network think that the directory you’ve chosen to advertise in is disreputable and encourages a race to the bottom, rates-wise? You might generate interest from your online colleagues about your marketing efforts. And even if you do end up in the worst-case scenario, who’s to say that the changes you’ve made won’t reap rewards further down the line? Who’s to say that those colleagues who were disparaging about your efforts are correct in their assumptions? Being prepared to try new things is how we learn. When the outcomes are not as expected, that’s not failure; that’s information on which we can make future decisions about what not to do, what needs tweaking, and what needs retrying. Not being prepared to learn and change in a competitive market is more likely to lead to failure that trying something new. If you don’t try, you don’t know. There’s nothing wrong with trying something new, only to find that it didn’t work. Any normal human being trying to be creative when running their business is not going to get it right every time. What will I gain from the change? What will I lose if I change the way I do things? What will stay the same, even though I’ve changed things? ​Working through these questions can highlight benefits and challenges, and help you to think through ways to maximize the former and minimize the stress of the latter. In 2015, I tested a new marketing technique. I wanted to provide a quick way for the client to engage with me, a device that would give them a sense of immediacy ... a ballpark price for proofreading and editing that they could use to decide whether to continue the discussion. So I tackled the questions above, and the answers helped me to map out a solution that I could test. Clients who previously passed me over because they wanted an immediate sense of what the cost might be more inclined to contact me. In particular, I might be a more attractive prospect for self-publishing authors (now my target client group) scouting for editorial assistance but who have a fixed budget in mind. I’ve always provided detailed value-on quotations in the past but these take time to produce, and if the price isn’t even in the client’s ballpark I’ve invested a lot of time for no return. The quick-quote option would be an interesting alternative to test. I’m always ‘on’ – clients can contact me whenever they want and I’ll be committed to responding to them accordingly. If I want to avoid placing prices on my website, I’ll need to have a device with me that enables me to calculate a price. That means carrying a phone around with me. My website is still focused on providing comprehensive advice about the value I bring to the table. The client comes through that medium and so will see this information. I’m still offering the same services. I can still refuse the work after I’ve seen a sample if I don’t think I’m a good fit for the client – the quote is preliminary with no obligation on either side. Critics can argue that no matter how much one protests that the quote is not binding, it gives the user a number around which to wrap their thinking. If my quote is £450 but then I see the manuscript and realize that the real quote needs to be £950, I have a major hill to climb to move the client off the £450 mark. However, I’d counter this as follows: I’ve collected data for years so I have a good idea of how long a job will take me depending on what editing service is required. Plus, my prices are my prices and I'm prepared to walk. I’m in control of my website, so I’ll still feel secure in the knowledge that I can withdraw a ballpark-quoting service instantly if I deem this to be necessary. My solution was to offer a 60-minute ballpark quote service via text messaging. I required a few words of description, a deadline, and a word count. I commited to responding within 1 hour to any request that came in prior to 10 p.m. GMT. I didn't want to have to carry around a tablet or laptop all the time because I wouldn't always have internet access, but my phone was always with me. I charge on a per-1,000-words basis for my proofreading, copyediting and line editing services so it was easy for me to calculate a ballpark price quickly. I'd reply to the client with the preliminary price and an invitation to continue the discussion, this time with a sample. At that point, I’d be able to demonstrate the value I can offer. I placed this quick-quote service on a dedicated Contact page of my website, and included testimonials on the page so that clients had a sense of the quality of service I offer. When I first set up this tool in 2015, the early results were encouraging. In the first month, I had around 20 enquiries via text messaging, 4 of which led to commissions to proofread or copyedit works of self-published fiction. I also acquired a small, fast-turnaround job for a business client. I turned down requests to proofread a business book and several theses, owing to the time frame. 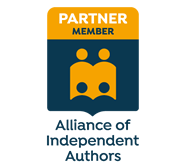 Over the next two years the focus of my business shifted to editing exclusively for indie fiction writers. I no longer accepted work from publishers, businesses, students or academics. Something else shifted too. The clients I was attracting weren't using the messaging option to get in touch. They were using my contact form, email or phone. This coincided with a much tighter rebrand of my website, so I suspect I was appealing to a different kind of client ... someone who wanted to talk. I decided to remove the quick-quote messaging tool. ​Even more importantly, perhaps, carrying out this exercise forced me to think more broadly about how client trust relates to pricing transparency. Resistance to change is a normal human emotion. However, we are business owners. We work for ourselves. There’s no one in the HR department to walk us through the changes we might need to make even though we feel nervous about them. Change is inevitable. The fact that it can be anxiety-inducing needs to be acknowledged. The key is to ensure that anxiety doesn’t get in the way of action. ​The decisions I made about pricing transparency will not be something all my colleagues will agree with or want to implement. That’s fine – they have their businesses to run and I have mine. They make the decisions that are best for them while I make the decisions that are best for me. Still feel reluctant to make a change, or learn something new? Break it down into smaller components so that it seems more manageable. View it as an opportunity for discovery rather than failure. And analyse it in terms of what you stand to gain and what you stand to lose. Chances are you’ll be pleasantly surprised by the results. Whatever happens, you’ll know that Woody and Thomas would pat you on the back for it! This is an updated version of an article originally published on An American Editor.